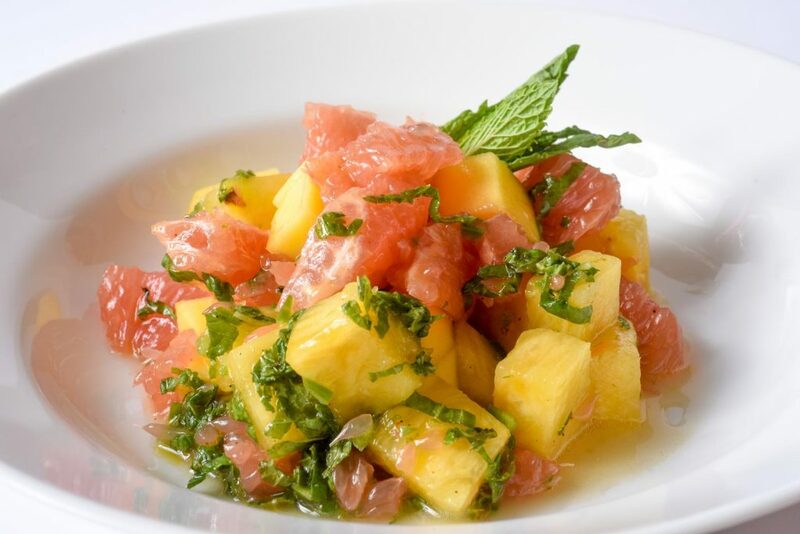 This recipe calls for grapefruit, mango, and pineapple, but you can use most any combination of fruit. Place the fruit in a large bowl, cover, and refrigerate. Make the dressing using a screw top jar or plastic container with a tight fitting lid. Place all dressing ingredients in the jar or container and shake to combine. Pour over the fruit and stir.